On Friday, August 5, 2016 at 5:30pm I will be presenting a gallery talk at the New Mexico Museum of Art, to speak about my photo series of the lowriders from 1980, which is currently part of the exhibition Con Cariño: Artists Inspired by Lowriders. 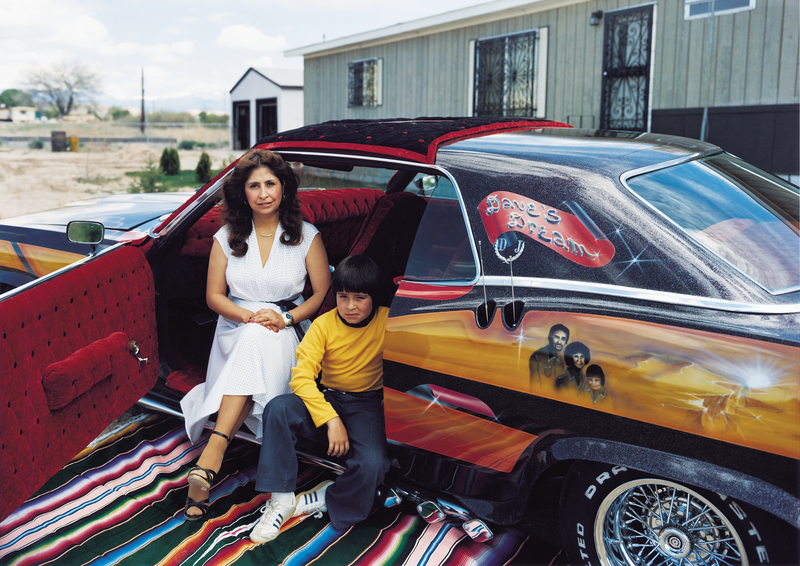 Challenged by a suggestion that lowriders were the true craftsmen of New Mexico, in 1979 photographer Meridel Rubenstein ventured to Española to meet and photograph them. Rubenstein recognized lowriders as fellow artists and says they changed her own approach to making art. Her portraits of lowriders were featured in the Museum of Art’s 1980 exhibition The Lowriders, held outdoors on the Plaza alongside a car show. I am pleased to be a part of two Museum shows this Spring through the Fall of 2016. On May 1 the New Mexico History Museum will present Lowriders, Hoppers, and Hot Rods: Car Culture of Northern New Mexico, where several of my Lowrider prints from 1980 will be on exhibit. Photo Curator Daniel Kosharek has pulled together an extensive collection of images by Don Usner, Annie Sahlin, Jack Parsons, Sam Adams, Norman Mauskopf, Dottie Lopez, Gabriela Campos, Meridel Rubenstein and others. 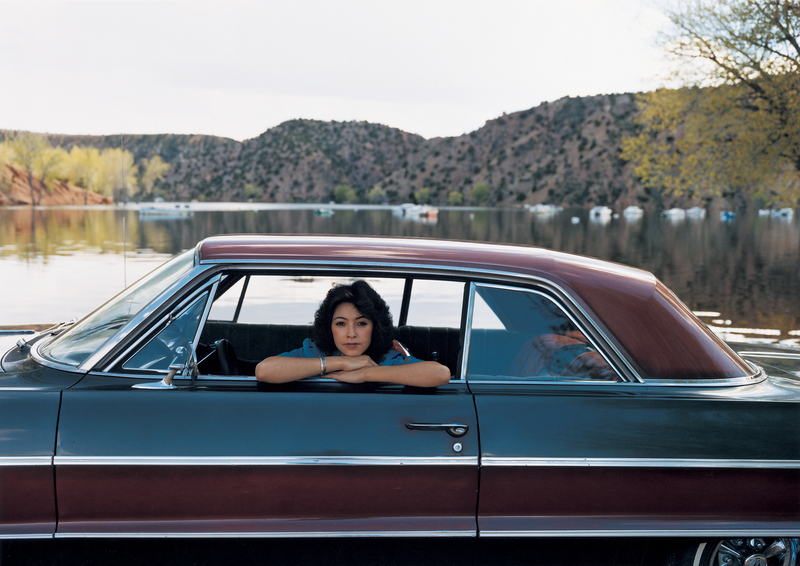 On May 21, the New Mexico Museum of Art will unveil Con Cariño: Artists Inspired by Lowriders, an exhibit (through October 9, 2016) curated by Katherine Ware showing photographs and art inspired by car culture. Ahead of the exhibits, on April 15, the Museum of New Mexico Press will release a companion book featuring essays by Ware and Usner.